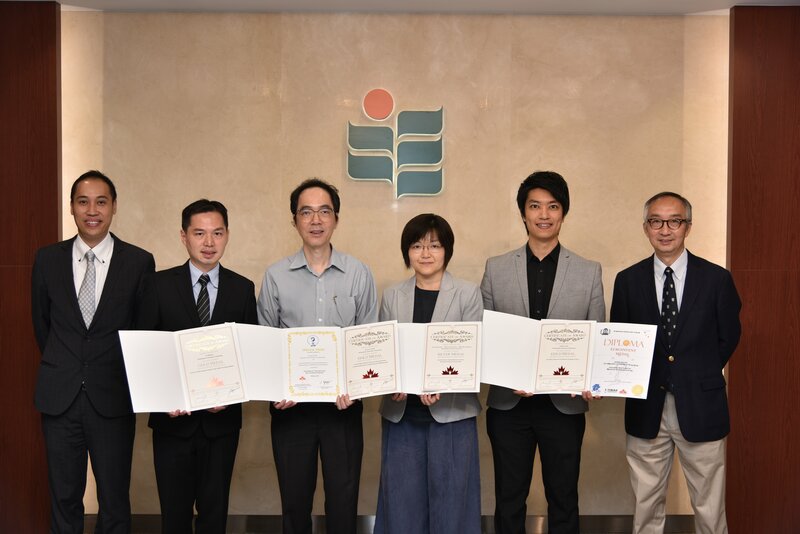 Scholars at The Education University of Hong Kong (EdUHK) won international recognition for their innovations in education and environmental technology fields, grabbing three gold and one silver medals at the International Invention Innovation Competition in Canada (iCAN) held in Toronto in September 2018. One of the gold medal-awarded projects integrated low-cost open-source hardware and software to facilitate the development of online experiments with embedded pedagogies to support the effective teaching and learning of STEM subjects in schools. Students can readily access the online platform via an ordinary Web browser to conduct and observe authentic experiments on any computing or mobile device, obviating the need to install bulky or proprietary plugins. The project also received the Special Prize from The Association of Thai Innovation and Invention Promotion. Another iCAN gold award went to the invention of a grid notation for electronic orchestra, which is an original music notation specifically designed for music education and performance on tablet computers (e.g., iPad with GarageBand) in both solo and orchestral settings. Presenting basic pitch and rhythm in boxes with softage and signs, the grid notation is tailor-made for beginner musicians. The easy-to-read music score enables music novices to read and play music straight away without long hours of training in score reading and to oversee the whole texture of a composition. The project also received the Special Prize from the Romanian Inventors Forum. The third gold medal was awarded to a new material that was developed for environmental purification. A newly developed graphitic carbon nitride photocatalyst can utilise daylight or indoor light as the light source for photocatalytic reactions instead of the UV light used in traditional photocatalytic environmental purification technology. This energy-saving and environmentally friendly technology is a breakthrough that opens up a new possibility of applying visible light (e.g. LED lighting) in photocatalysis. It also has a wide range of potential applications in air purification and disinfection contexts in daily life. EdUHK and research partners have developed a new aerobic exercise teaching manual for children with Autism Spectrum Disorder that consists of a set of game-based exercises. The research results indicate that the exercises can improve children’s physical fitness, ability to follow instructions, concentration span, language use and social skills. A silver medal was awarded to the research team.